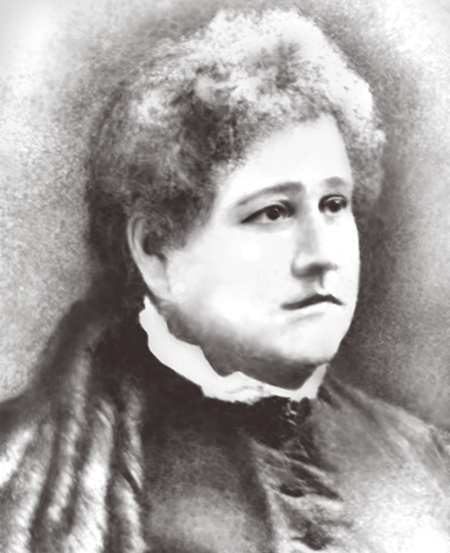 Grace C. Bibb was a luminary in the interactive training of teachers, and the first woman to hold a dean’s position at the University of Missouri. The Grace Bibb Society recognizes friends of the College of Education for their active participation and philanthropy. inclusion, research, and innovation, the college plays an active role in solving today’s complex problems. The Grace Bibb Society encourages private participation in support of the College of Education’s vision for educating Missouri, our nation, and our world. The enduring generosity of Society members ensures the College of Education continues as a nationally recognized leader in the radiant spirit of Grace Bibb. Membership is open to anyone who wishes to support the College of Education, as well as not-for-profit organizations affiliated with the University. Members may elect to be recognized as an individual or as a couple. Annual Members are those who give at least $1,000 in any one calendar year* from January 1st to December 31st. While membership starts immediately upon receipt of the gift, donors are recognized the following year on our donor wall, located in Hill Hall. All annual gifts build toward future Sustaining Membership. Once Annual Members reach the level of giving that qualifies them for Sustaining Membership, they are recognized at the appropriate level. *$500 or more for MU benefits eligible employees. Sustaining membership recognizes cumulative or individual gifts to the College of Education totaling $25,000 or more in their lifetime*. Additional gifts made to the College of Education after the sustaining level count toward higher levels. *$12,500 or more for MU benefits eligible employees. Grace Bibb Society members have the satisfaction of knowing they are lighting the way for today’s scholars and those of future generations. Member support enables the College of Education to enhance our reputation of excellence, maximize our national and international impact, and engage in valuable research. Members are recognized in Hill Hall on our donor wall. Members receive a lapel pin; Sustaining Members receive a pin with a gemstone designating their membership level. Sustaining Members are granted dual membership in the Jefferson Club. Members may also be recognized at additional College of Education events. Gifts are counted as cash, pledges, or as testamentary gifts. Pledges may be made for up to a 5-year period. Testamentary gifts signify the donor’s intention to make a gift to the school by means of a bequest, a life insurance policy, or another type of deferred gift, which will come to the MU College of Education in the future. Irrevocable trusts also qualify as an outright gift or pledge. Contact us to learn more about the Grace Bibb Society at the College of Education.